At the law firm of Joseph L. Nackson, Attorney at Law, we understand you have a choice in selecting an attorney to represent you. We would like to explain why we would make an excellent choice to represent you in any of these focused areas of the law.Why You Should Choose Us. While we believe there are numerous reasons why we are more than qualified to represent you in your legal matter,we offer the following. We have over 25 years of experience handling translational and litigation matters. Our experience means we understand the legal process, the law, and how to handle negotiations and prepare for trial. We prepare all disputes as if they are going to trial.We believe our aggressive approach to litigation and dispute resolution and our successful track record are well-known among insurance companies and other law firms and therefore lead to better settlement offers. In addition to his trial and business transaction experience, attorney Joe Nackson is a former adjunct professor in business law and has taught Continuing Legal Education classes to attorneys, judges and other legal professionals. While Mr. Nackson's experience may bring in you in the door,it is the personal service and attention that will keep you as a client and have you referring friends and family to us. He takes the time to explain the law, the legal process and your options to you so you are in a position to make an informed decision. Whether you need an estate probated, a divorce or family law advice, or have a business dispute, you will feel confident in the information and advice you receive, as well as the legal representation from an attorney who is committed to achieving the results you want. 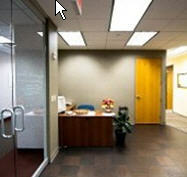 In addition to our experience and personal service, we are dedicated to our clients. We take a global approach to resolving client issues. If we do not feel we have the experience and expertise to handle a particular matter, we will either refer you to another attorney or engage a lawyer with the background and knowledge to best handle your legal matter. Over the past 25 years, we have cultivated an extensive network of experts, specialists and professionals to call upon. 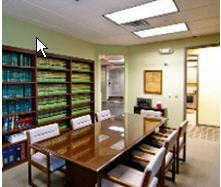 We strive to be the law firm you contact no matter what your legal problem entails. Our goal is build your confidence and trust in us. Contact Experienced Hackensack Lawyer Joe Nackson. For information about the law or the legal process in New Jersey, or for a free initial phone consultation to discuss your particular situation with an experienced attorney, please call us at 201-252-4416 (locally) or toll free at 1-866-586-4042. If you prefer, you may also fill out our intake form and we will contact you. We look forward to working with you and earning your trust.